NASCAR fans who are Christians may know the name Steve Wingfield. As CEO and evangelist of Victory Weekend and the Steve Wingfield Evangelistic Association, Wingfield has dedicated himself to full-time evangelism. But he also feels strongly that the culture of America needs to be changed, and there's only one way to do that—to change the hearts of Americans. That's why he got involved with Lodestar Guidance, a leadership program designed to strengthen and develop the character of a new generation. "It's a powerful program that builds character, because if we're going to change America, we've got to change hearts," Wingfield said. "That's what this is all about. We want to see culture strengthened. We've got to stop what's going on, and we want to do that one person at a time." Paul Weaver, the second-generation business owner of Weaver Leather who has long supported Wingfield's ministry, founded Lodestar Guidance in Mount Hope, Ohio. "We were in a character-development program for over 25 years here," Weaver said. "The one we started with was 'Character First,' and we loved the program. Great things happened. They sold the company, and it kind of went a different direction, and so basically I was looking for something to replace it because it was dated and I could find nothing out there." So Weaver started his own program—Lodestar. Weaver and Wingfield met and became friends after Wingfield held a crusade in Weaver's area. A couple of years ago, Wingfield got involved with Lodestar to add video to the program. Each of Lodestar's 48 faith-based principles—from forgiveness to productivity to respect—has an accompanying video. Weaver came up with the principles list himself. "These were things he thought had helped him become the leader he is," Wingfield said. "He wrote a teaching phrase for each one of them. There's not a weak link there. The bedrock of the list would be integrity. I'd say everything is built upon that. The purpose for all of them is for people to be the kind of people God created us to be and the leaders He wants us to be." The life-changing principles are divided into monthly topics that aim to improve the way individuals interact with others at work, home and church. Participants watch the video teaching and take part in group discussion. Lodestar's comprehensive program provides both structure and content for leaders to build the character and leadership qualities of their employees. The employees of Weaver Leather have benefited greatly from the Lodestar program. Seeing these results in a real-life situation has led to Weaver's desire to expand the program. "Two years ago, we decided to take it to another level and really start marketing it beyond Weaver Leather," Wingfield said. "We wrote a storyboard for a video for each of the principles. For example, accountability was a NASCAR pit crew changing a tire. They're accountable to each other to change four tires in 14-15 seconds. At the end of each video, I talk about how that particular principle will impact a life spiritually." Companies such as Keim Lumber in Ohio and Skyline Roofing in Virginia are also using the program. "We're marketing it to churches, small groups, Sunday school classes and families," Wingfield said. 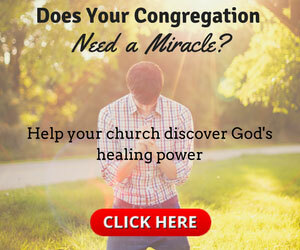 "The program can be used in settings from small church groups to large corporate environments." The program is internet-based except for the bulletins, available to purchase in various packages. Lodestar has 10 salespeople seeking to generate interest in the program. Those considering the program get a free trial subscription and can watch some videos to learn more. If a company reviews one of the 48 principles per month, the program will take four years to complete. Then, the company starts again with fresh material. There is one big difference between the Character First and Lodestar programs—the leadership section. 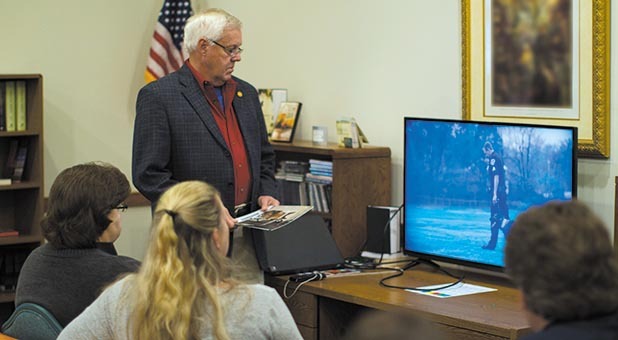 "Lodestar is formatted for businesses, but it certainly works for many different purposes such as small groups in church," Weaver said. "It works very, very well for adult Sunday schools. We do have it in some schools, like athletic programs." Weaver has been in a leadership role for over 36 years and has made an important observation. "There are many, many more leaders who crash and burn because of a lack of character than a lack of skills," Weaver said. "That goes for your everyday employee as well. When you look at the principles, I just made a list of the ones that I would probably recommend first and foremost for anybody who aspires to be a leader. ... The very first one is passion. Without passion for what you do, there's a fair chance you're going to crash and burn, because passion fuels the drive. Then there's self-awareness, being aware of what you're good at and what you're not good at, and hiring to your weakness. The next one is transparency. You need to let people see your weaknesses, your warts and your hang-ups, and that becomes real. You need to become decisive. You need to be trustworthy, accountable. You need to have influence with people. As a matter of fact, influence is leadership. You need to have discernment to know what is right and what is almost right. And you need to have integrity. That's the reason leadership that is not based on character lots of times will burn out pretty quickly, because of a lack thereof." Business leaders often have more influence than pastors due to the amount of time people spend at work. "You have a lot more influence than you think you do with your employees," Weaver said. "Use it for good." Weaver sees Lodestar as something that allows him to influence his staff at work and beyond, and he gets that kind of feedback when people leave Weaver Leather. So he wants to energize business leaders to realize they are accountable to God for how they treat their employees. "We really need to instill in business leaders that the Bible says, 'To whom much is given, of him much shall be required,'" Weaver said. "I think business leaders have tremendous influence. When we use that influence for good, those are some of the rewards we're going to get in the hereafter. People don't care how much money we made. They really don't care. But they do care what we did for them during their tenure here." Keim Lumber, located in the heart of Ohio's Amish country, launched Lodestar Guidance companywide and is introducing the program to each of its departments. "In every department where we've introduced this, it's helping us with the team-building process," said Ivan Miller, who works in Keim's employee development department. "We have what we call a team-building mountain, and these principles have helped us in building strong teams." The Lodestar program tied in well with the company's "team-building mountain." This picture of a mountain "starts off with the presumption of goodwill, which is deep trust; and then accepting reality; and then sharing goals, values and vision. Then we have mutual accountability, which combined, gives us the collective results of teambuilding, or working together as a team. Lodestar is helping us tie the entire mountain together, starting with 'Are we teachable?' Being teachable is the first principle we used from Lodestar. Every one of us has to decide if we're teachable. This was one of the foundational tools we were able to use." The information technology (IT) sector of this major company benefited from Lodestar. "Because IT affects everyone in the company, it's important that each person who works in the department knows how to connect and communicate with the individuals they serve in the entire company as IT helps Keim integrate a new product." To do this, they used the principles of being teachable and the attitude that helps the IT team to serve. "It changed their entire approach and the way they engaged each one of us as they implemented these new tools. That one was really key." Lodestar also helped in "logistics, which is delivery and dispatch, getting our product out to the customers," Miller said. "We have over 30,000 walk-in customers in a year's time. We drive over a million miles just to get our product to the customers." Because relationships internal to the company and external to the customer are so critical, the staff has found great benefit by incorporating Lodestar thinking into their operations. "These two principles [teachable and attitude] have helped implement all the different tools and things we have asked them to use as we move forward with serving our customers," Miller said. Another company in the area, Berlin Gardens in Berlin, Ohio, employs about 140 people and is in its third year using the program. Sam Yoder bought the wholesale manufacturer 10 years ago. It was a gazebo company but has since enlarged its product inventory to mostly poly-lumber patio furniture to help customers live out its motto: "Take life outdoors." Berlin Gardens has a different way of using Lodestar to reach all of its employees. "I meet with our managers every week, and my goal is to get our vision and culture and what I want to see in a company all the way out to the fingertips of the youngest employees," Yoder said. "We were doing it with our managers, but it wasn't going all the way out. Two or three years ago, I decided to meet with our supervisors, the people at the floor every day, and I went through eight weeks of Lodestar character traits. They really enjoyed it and benefited from it, so I challenged them to either take their families through the booklets or take their particular pod or group of people in the shop that they give oversight to through the eight character traits." Yoder wants to see his employees become "well-rounded" people, and he asks them to apply the Lodestar principles personally, professionally and in the home, church and community. Yoder said he believes the program is "going to have a ripple effect, not only at Berlin Gardens but in the whole community." Weaver has supported Wingfield's ministry for years now, and one day, the evangelist made an important call to Weaver. "His friend, an attorney, had a farm in the middle of the nicest countryside you've ever seen, and we bought it and made it the Lodestar Mountain Inn," Weaver said. God led Weaver and his wife, Gladys, to purchase 524 acres of land in Upper Tract, West Virginia, in 2015, and donate it to Wingfield's ministry as the future site of the Lodestar Mountain Inn at Smoke Hole. The inn will be a retreat center for pastors, business leaders, veterans and "all those who have grown weary through life's battles and stressors—a place of solace and peace surrounded by the beauty of God's creation," Wingfield's website says. "We've already built the first house," Wingfield said of the property. "We're in the process of building another house and two more cabins. We're advertising the Lodestar Mountain Inn as a place for veterans to come." Wingfield expects the inn to be operational by spring 2019, and it also will be used for the Lodestar program. "We'll have group sessions for Lodestar Guidance to be taught over the weekend there," Wingfield said. The inn is about an hour and a half from Wingfield's headquarters in the Shenandoah Valley of Virginia. As a retreat center, the inn will serve as a place of ministry to those in need and will help to cement the character and leadership principles of Lodestar in hearts and minds. But the program will reach many more in businesses and beyond. Weaver intends it to fully equip his employees. "We want to equip people not just to work at Weaver Leather," he said. "We want to equip them for life." The best way to use these 48 biblically based principles is to allow Christ to transform each individual into His likeness. Employees who rely on the help of the Holy Spirit each day will experience the most significant life transformation as they adopt the Lodestar principles in the workplace, at church and at home. Christine D. Johnson is editor of Ministry Today. Email her your thoughts on this issue at chris.johnson@charismamedia.com.